After what feels like a long winter, spring finally seems to be arriving! Flowers are starting to bloom, and the sun feels a little bit brighter, and that also means the Easter holiday is upon us. The gang at The Rhinestone Shop has put together a collection of DIY rhinestone craft projects for the Easter season. Grab your favorite rhinestones and let’s get crafting! If desired, paint your flowerpot to your favorite color. White or cream can also provide a good base for a colorful bouquet. Trim floral foam to fit the inside of the flowerpot and put the floral foam in place. This will be the base for your “flowers”. Each skewer will have two paper flowers glued back-to-back to create a stemmed flower. Cut flowers out of cardstock in sets of two. You can then attach your flowers to the top of each skewer. At this point, feel free to paint your flowers. Rhinestones will add the final touches to your flowers. Use a variety of colors to adorn your stemmed flowers, and arrange them in the pot. Once your flowers are in place, use Easter grass to fluff up the base of your flowers and hide the foam. What’s Easter without a few eggs, right? Some of the most beautiful Easter eggs in the entire world are based on colorful Ukrainian eggs known as pysanky. Pysanky have fantastic colors and geometric patterns, and we think those designs are the perfect inspiration for dazzling Easter eggs for a centerpiece. Instead of the traditional wax and dye method for pysanky, we’re putting rhinestones on painted eggs. The idea is to create geometric patterns to create a colorful, sparkling effect similar to that in the pysanky eggs. The wooden eggs will need to be painted, and you’ll get the most dynamic results by painting the eggs in a rainbow of colors. Paint wide stripes in varying colors as the background for your eggs. You’ll want to plan out your rhinestone pattern before you start to glue, but we recommend using smaller stones near the top and bottom of the egg and gradually using larger sizes as you meet in the middle. When the rhinestones are set, repeat until you have enough eggs to set in a bowl for an unusual centerpiece for your Easter table. Alternatively, these eggs make beautiful gifts for children, or you could display your eggs in individual egg cups. If you’re wanting something a little more dramatic than rhinestone eggs in a bowl, try your hand at a towering egg centerpiece. You’ll need about 8-10 rhinestone eggs, depending on their size. The egg centerpiece will also require a terra cotta pot that’s roughly 6 inches in diameter. You’ll need floral foam, floral moss, and hot glue. Start by filling the pot with floral foam, leaving about a ¼” gap at the top. Glue 3-4 eggs around the top of the flowerpot, trying to keep the eggs vertical. If there is a gap in the center, add a piece of floral foam for extra support. On top of the first layer, stagger another layer of eggs in between each egg at the base. Continue this pattern (and fill the center with floral foam) until you are satisfied with the height. The second to last layer should have three eggs, and the top of the tower will have one egg. Fill in the gaps between all of the eggs with floral moss. Cut your stiff felt into assorted spring-like shapes. In this case, simple flowers and eggs will do the trick. 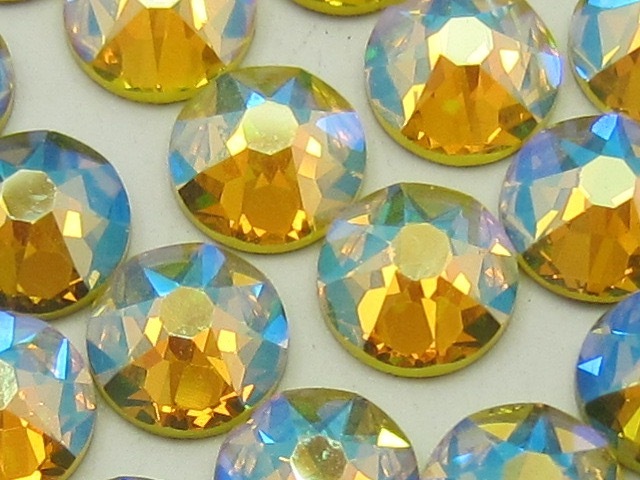 These shapes will be the backdrop for your rhinestone designs. Use different shaped rhinestones to create dazzling patterns on each of your felt shapes. 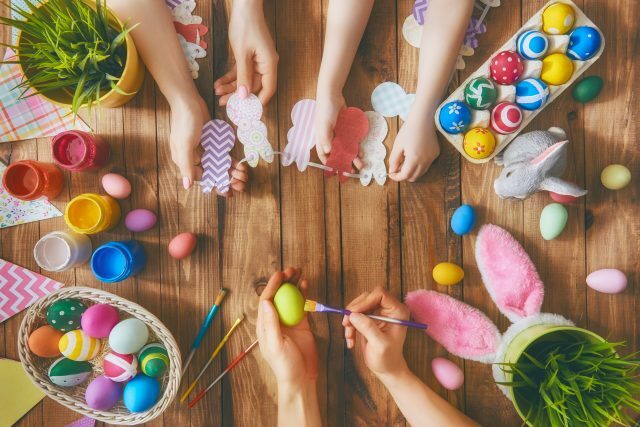 This can be a good time to get kids involved if you are looking for an Easter craft project for the family. For hanging your garland, cut a piece of twine about a foot longer than where you intend to hang it. Use clothespins to clip your felt shapes to the twine about 4 inches apart from each other. Planning on having a big Easter meal with the family? Jazz up your table a bit with sparkling napkin rings. You’ll start with a plain napkin ring. You can find these at any store that sells housewares. The idea is to create felt roses in assorted colors that are touched up with rhinestones. To make your flowers, you’ll need to cut felt into individual petals. To actually create the flower, start by wrapping some of the petals together fairly tightly to create the flower’s center. Glue the bases together. Start working your way around the center “bud”, slightly overlapping each petal and gluing them in place. You may want to take the time to “fluff out” the petals to create a flower that looks like it’s blooming. Repeat this process until you have a flower for each napkin ring. At this point you can start to add your rhinestones! Glue rhinestones to your flowers however you feel will best show them off. Glue the whole flower to the napkin ring, and add a few small rhinestones to the base to cover hide the glue, if necessary. 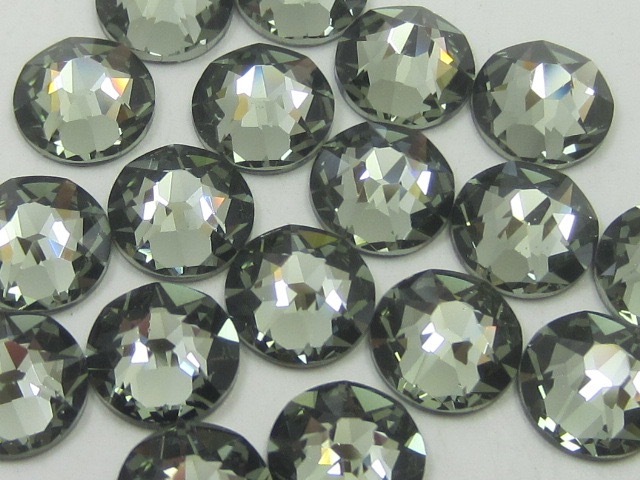 Check our The Rhinestone Shop’s huge selection of Swarovski crystal rhinestones, which are perfect for all of your holiday craft projects. Top o’ the mornin’ to ya! It’s that time of year when everyone’s a little bit Irish and gold and green are all around. That’s right—it’s time for St. Patrick’s Day! Now is the time to pull out all of your lucky rhinestones and create some sparkling creations that are both cute and functional. 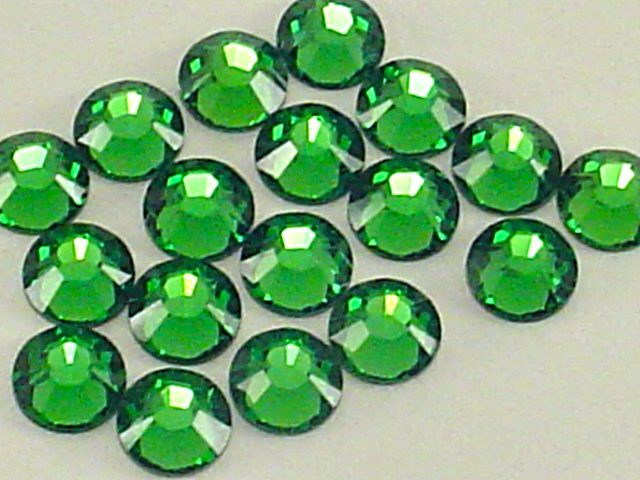 Be sure to check out The Rhinestone Shop’s huge selection of Swarovski crystal rhinestones, available in all shades of green and more! Looking for some easy DIY rhinestone projects? Check out some of our favorites! To get started, you’ll want to paint your terra cotta pot black, just like the pot of gold at the end of a rainbow. The pot you choose should be big enough to hold a reasonable amount of “gold” coins or other treats. Be sure to paint both the inside and outside entirely. Once the paint is dry, take your flat-backed rhinestones and carefully glue them to the outer top rim of the pot. You’ll want to cover the entire rim with rhinestones. If you’re feeling particularly sparkly, you could create a polka dot effect for the entire pot. When the rhinestones are in place, fill it with your gold-wrapped candy and you’ll have a sweet little candy bowl with treats for everyone to snack on! The traditional symbol of St. Patrick’s Day is the shamrock, which represents faith, hope, and love. The four-leaf clover has an extra leaf for good luck. 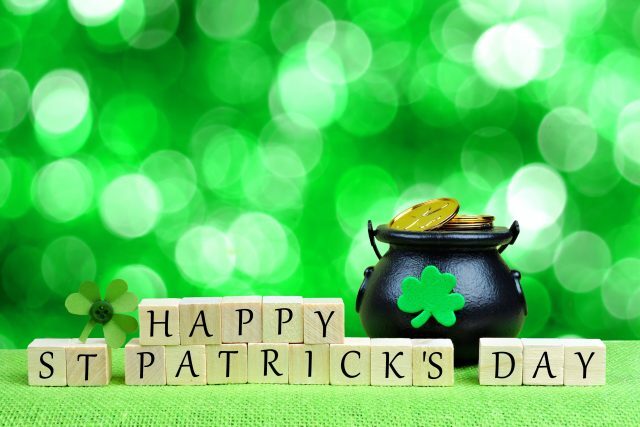 It’s also said that you should wear a bit of green on St. Patrick’s Day to ensure you have luck throughout the year—if you don’t wear green, you might get pinched! Shamrock templates are easy to find online, and you’ll want to find one that’s approximately three inches wide. Cut your template and place it on your piece of leather, holding it in place with a few straight pins. Use scissors to cut the leather in the shape of a shamrock. Get your rhinestones ready to go and use adhesive to glue emerald rhinestones in place to cover all of the leather. 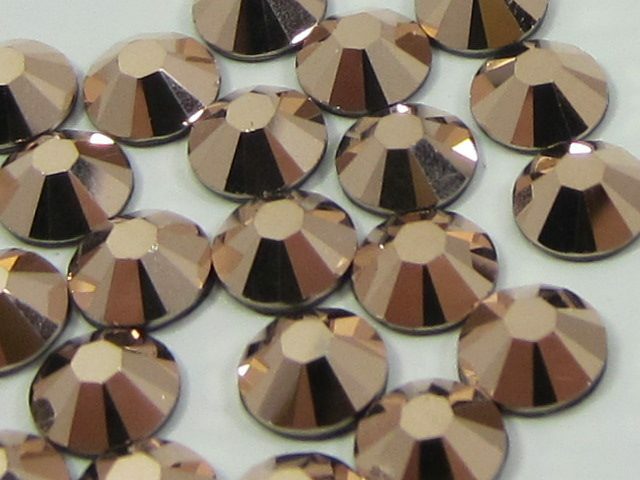 The smaller sized rhinestones you have, the easier it is to get full coverage. Once your rhinestones are in place, glue the brooch pin back to the backside of the shamrock. Wear your new pin with pride! Hosting a St. Patty’s Day party? Give your guests a cute little party favor in the form of a festive pouch filled with chocolate coins. Your favor bags can be decorated with any pattern, but one easy way to bling them out is by arranging your rhinestones in a “shamrock” pattern, which really means putting them in groups of three to create a shamrock effect. Alternatively, you can create polka dots of gold to let your guests know what treat await them. Find a shamrock template online that’s approximately 3 inches wide. Print and cut out the template, then place it on the felt. Cut the felt to size. Take your flat-backed rhinestones and adhere them to the felt shamrock. Once the shamrock is completely covered, clip any excess felt and glue the shamrock to the side of the headband. All that’s left is to don your St. Patrick’s Day best and add your newest green accessory! To get started, you’ll want to shape your floral foam to fit the terra cotta pot. Try and fill it to as wide as the pot’s diameter. Optionally, you can paint the outside of the pot to whatever color you desire. For the shamrock flowers, you’ll want to cut out felt shamrocks, and for variety, you can cut out shamrocks of different sizes. However, you’ll want to cut shamrocks in pairs of two; each pair of shamrocks will be the front and back that will top each bamboo skewer. Once you have cut out all of your shamrocks, glue each pair of felt shamrocks to the top of each bamboo skewer, making sure to glue the shamrocks together. The next step is to bling out your shamrocks! Use gold and green rhinestones to adorn your shamrocks, and you can mix and match to your heart’s content! The more variety, the more interesting your centerpiece will look at the end. Try and cover the felt entirely, and then you can start arranging your centerpiece. Stick the skewers into the floral foam and make sure to vary your shamrock placement. Once you have everything in place, you can use crinkle filler to hid the floral foam. 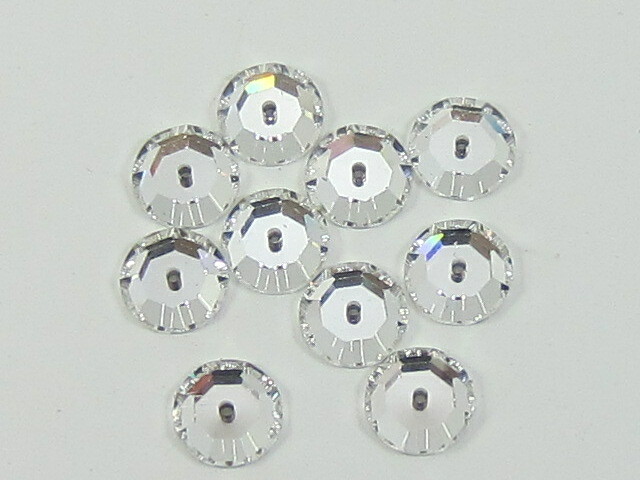 The Rhinestone Shop has an amazing selection of rhinestones and nailheads for all of your DIY projects. Be sure to check out our inventory for all things green and gold. Valentine’s Day feels like it’s just around the corner! It’s also the perfect opportunity to pull out your craft supplies and rhinestones and make some fun crafts. Check out these great craft projects to celebrate Cupid’s favorite day! If you want to paint or stain your wood plank, do that before doing anything else because that’s the base of your project. Before you can start hammering, you’ll want to find a heart template online and print it out. Carefully cut out your template and tape it to your wood plank. Carefully hammer in your nails around the heart pattern. Don’t hammer them in all the way because you’ll eventually need to wrap string around the nails. Place nails evenly and fairly close together. Now come the strings and things! Tie your embroidery floss around one nail, and wrap around each nail to create an outline of your heart. Make sure you use all six strands for a stronger connection—it’s less likely to break. Use more embroidery floss to start crisscrossing across nails to “fill in” your heart. Make sure you wrap tightly! Once you’re done, tie off the end and snip away the excess. Use flat-backed rhinestones to adorn each individual nail head. If you’re the type of person who loves to decorate the whole house for holidays, this heart garland is a wonderful project that you can use each year. The more complicated (and durable) project uses wooden hearts, but you could adapt this using felt. Paint your wooden hearts with acrylic paint. You’re not restricted to “Valentine’s” colors—use what makes you happy! Use your drill to carefully drill a small hole on each side of the hearts—place the hole higher on the heart, close to the top. The hole should be big enough to fit the string. 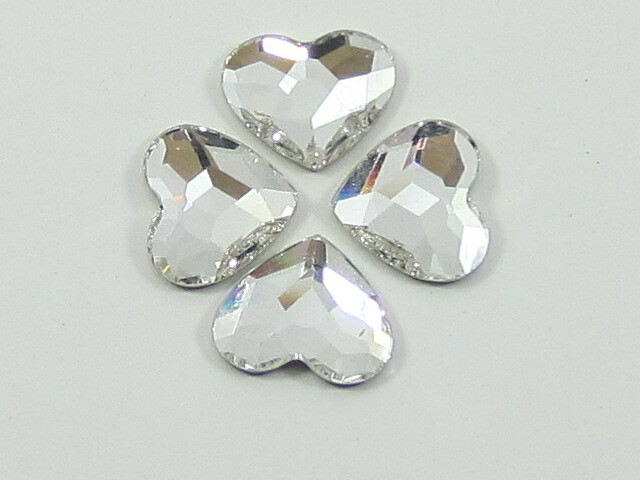 Use rhinestones to cover each heart or create patterns on each heart. This is where you can get really creative! Weave your string through each heart, and tie knots behind each hole to avoid slippage. Hang your heart garland over your windows to celebrate the holiday in style! 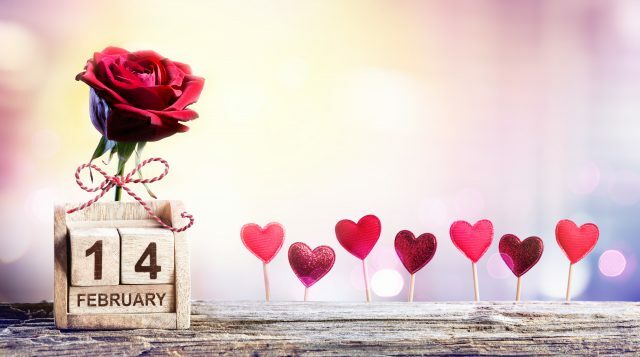 The industry surrounding Valentine’s Day is massive, and people spend millions each year on flowers, chocolates, and cards. Make things a little more personal by making a card instead of buying one! Thanks to the scrapbooking hobby, craft stores have huge selections of cardstock and decorative papers to choose from. Choose your favorite papers and get to work! You’re really only limited by your imagination, but you’ll get a more dynamic card by combining patterns and solid colors and layering them on your card. Double-stick tape is a great method for layering paper. Use die punches, corner punches, and premade elements to add interest, but when you’re satisfied with your card, add rhinestones to make it extra sparkly and add dimension to the card. Vases are incredibly easy to create—and incredibly fun! You can use them to hold that special bouquet from Valentine’s Day, or you can make your own arrangements to give to your loved ones. One of the best parts about this project is that you can use found glassware or glass canning jars. Using something unique gives your vase its special character, and of course, rhinestones always make everything better. You’ll paint the outside of your glass jar with either patterns or hearts. You can get creative and paint so that the negative spaces (unpainted areas) show your pattern instead. This is a fairly rustic project, so if it’s not perfect, that’s okay. Then you can plan your rhinestone placement. The Rhinestone Shop even sells heart-shaped rhinestones, which would be perfect in this application. 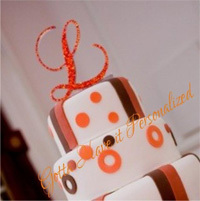 You could even create a polka dot pattern with your rhinestones. For a finishing touch, add a ribbon to the neck of the vase. For even more flair, apply small flat-backed rhinestones to your ribbon. These pretty little votive candle holders are simple enough to get the kids involved and sophisticated enough to provide an elegant touch to any table. The first step is to measure the circumference of the candle holder. Use your tape measure to measure around and write down the length. Use that measurement to measure your lace, and add an extra 1/8” for a small amount of overlap. Wrap the lace around the votive holder and use a small amount of hot glue at the edges of the lace to attach it to the votive holder. If you’re working with kids, this part is for adults to work on. The next step is to add your rhinestones. Add small rhinestones to the lace and votive holder, but make sure you don’t cover the lace completely. Finally, add your candle and enjoy watching the light flicker and bounce off of the rhinestones. Place them on your table for a candlelight Valentine’s dinner. 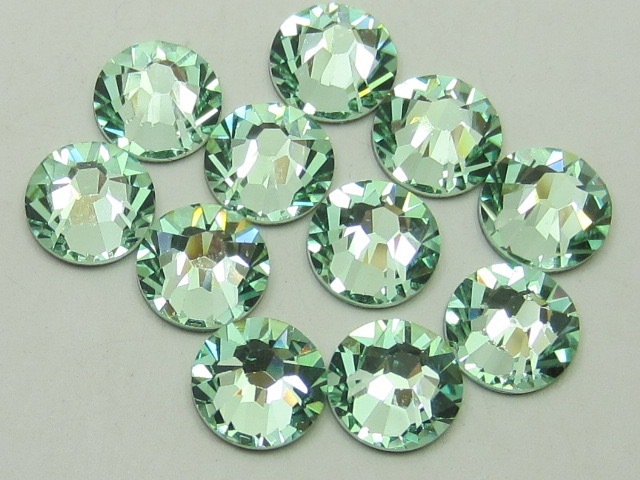 Be sure to take a look at the Rhinestone Shop’s amazing selection of rhinestones for all of your DIY projects. We have dozens of colors, shapes, and sizes that will allow you to create anything you put your mind to! Baby, it’s cold outside! If you’re like many others this time of year, you probably need to bundle up before going out into the cold. And if there is one true thing about winter clothes it’s that they’re often dull and, well, boring. You know what we’re going to say—add rhinestones! Here are some ideas for ways to make your winter a little bit brighter! Hats are an absolute must when it’s cold out, but they can be a little tricky to work with, especially if they are knitted. To bling out a knit hat, you’ll want to use sew-on rhinestones instead of hotfix rhinestones. Sew-on rhinestones will move with the yarn as it stretches, unlike hotfix rhinestones, which run the risk of falling off eventually. So even if your hat has a thick weave, it’s probably better to be safe and use sew-on rhinestones. There are quite a few ways to jazz up your hat. If your knit hat has vertical welts, stitch vertical lines of rhinestones to the welts. The result looks appropriately sparkly without being over-the-top. Another way to bling out your hat is to create a brooch to pin to your hat. Use stiff felt as a backing (the same color as your hat) and arrange hotfix rhinestones in your desired pattern. Once they are set, use scissors to carefully snip away the excess felt from the brooch. Glue a pin-back to the back of the piece. There are many different ways to make your gloves more fun. One simple but effective way to make your gloves dazzle is to create a snowflake motif on the back of the glove hand. If your gloves are knitted, it’s probably a safer bet to use sew-on rhinestones to accommodate for stretching. 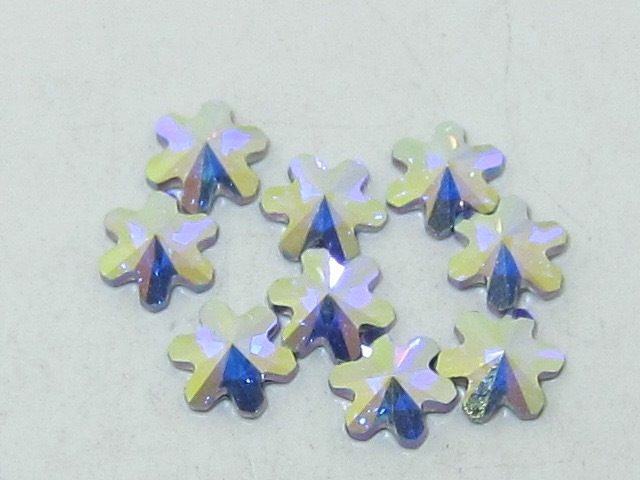 If you don’t want to create a snowflake pattern, you could use snowflake-shaped rhinestones. These seasonal rhinestones are perfect when you don’t want to deal with a template. You can also make “rings” for your gloves. Create a pattern that looks like a jewel and apply it to the ring finger on your glove. For something a little different, try using rhinestones to make the glove’s fingertips sparkly like bling-ed out nails. If you can’t get enough of rhinestones, you could even go for total coverage like a certain famous pop star. Nothing says winter quite like a cozy scarf or wrap. You’ll have to work carefully to avoid putting rhinestones on anything that will come in contact with your neck—that can get uncomfortable! A dazzling scarf would look beautiful with rhinestones at the ends of the scarf. As always, snowflakes are very seasonal, but you could make geometric designs, swirling patterns, or even a simple gradated effect that looks like falling snow. 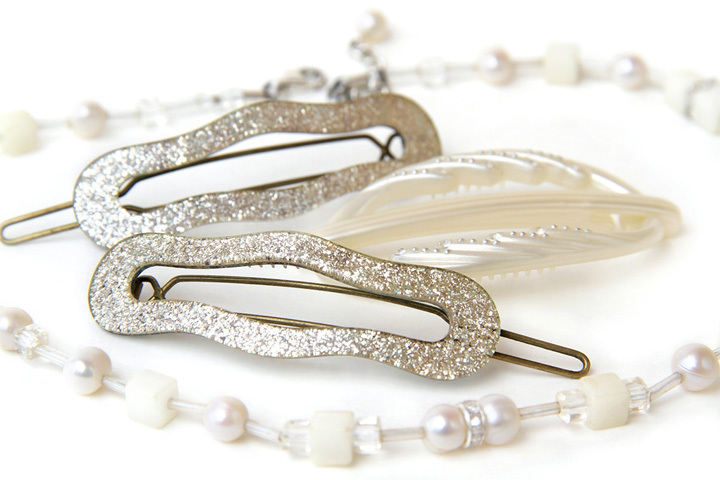 Another way to add some sparkle to your scarf is to make a simple scarf clip. Check the jewelry-making section of the craft store for something similar to a hair clip or belt ring. Add rhinestones to the clip (flat-backed and small) and use it to hold your scarf in place. Sweaters, like hats, can be a little tricky to work with, which is why you’ll need to use sew-on rhinestones for any sweater project. Sweaters stretch, and sew-on rhinestones will move with the sweater—it will be near impossible for the stones to fall off. Snowflake designs will make for a beautiful winter scene, but if you want to make a larger project, you could create bare birch trees for a stunning winter motif. Cardigans offer even more options—you can swap out your buttons for rhinestones or create an asymmetrical pattern to upgrade your cardigan into something new! If sweaters aren’t your thing, you could use the same techniques for a long-sleeved shirt or a sweatshirt. Jeans aren’t specific to winter, but we would be remiss if we were talking about clothes and didn’t mention denim. Jeans are just practically screaming for rhinestones. You’ll first want to decide what parts you want to make sparkle. Back pockets are traditional and provide a good working surface, but the front pockets make your jeans pop with excitement. Back pocket designs can be simple designs and lines, or you could opt for something a little more seasonal. Snowflakes, snowmen, and holly leaves are all great options for seasonal jeans. Use just a few rhinestones along the front pockets. A fantastic and unique larger project would be to create a snowflake scene down the sides of the legs. Avoid placement directly over the knee—such placement could cause the rhinestones to fall off. For applying rhinestones to jeans, you’ll want to iron your jeans first and place them on a flat surface. Use flat-backed hotfix rhinestones and plan your pattern before you start to glue. Jeans look good when you use a combination of different sizes, so try to incorporate at least three different sizes or shapes. But beware—it can look cluttered if you incorporate too many different types. 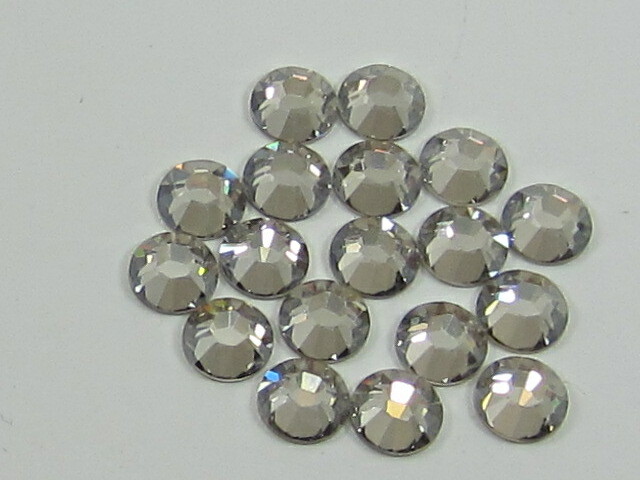 At the Rhinestone Shop, we have some great choices for any winter rhinestone project. 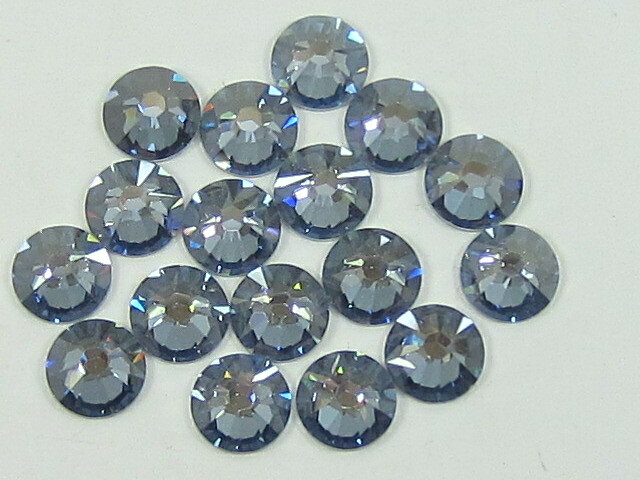 We have snowflake rhinestones in addition to many varieties of blues and whites. In addition, we have stars and other novelty shapes that will add a unique touch to your already unique project. Of course, you’re not limited to blue and white! 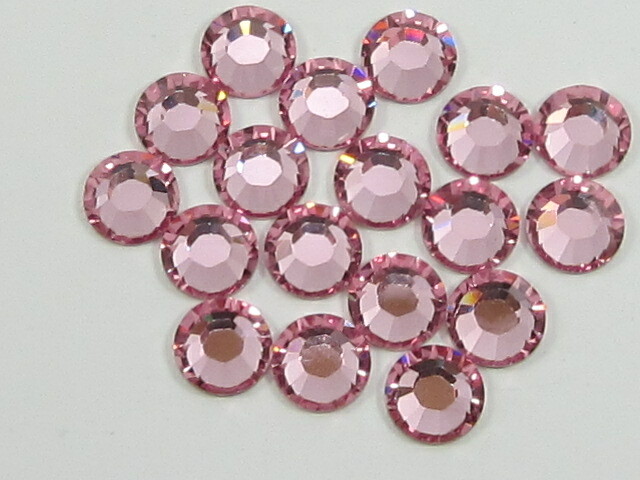 We have thousands of rhinestones in stock in tons of colors. And remember—sew-on rhinestones are your friend for all things knitted! Hotfix rhinestones are certainly easier to use, but they will likely eventually fall off of your clothing, wasting all of your hard work. Have fun making your winter accessories and winter clothes sparkly and cheery—and stay warm out there! It’s that time of year again! That’s right, holiday season is upon us. Hopefully that means time with your family, holiday treats, and a cozy home. We know things get hectic this season, but make sure to take time for some holiday rhinestone projects. Part of the fun of this project is finding a fun figurine for your snow globe. A snow-covered tree, a snowman, or something else entirely would be great subjects for your snow globe. Whatever you choose needs to fit inside the jar by sitting on the inside of the lid. Glue the figurine to the inside of the jar’s lid. Fill in the rest of the base with small rhinestones. Optionally, you can use acrylic paint to paint half of the outside of the jar for a background for your figurine. Next, add 1-2 teaspoons of glitter to the jar. Fill with water and add a small amount of glycerin to make the glitter float better. Screw the lid into the jar and glue the lid shut. Glue rhinestones around the edges of the jar lid for some extra sparkle. For every season there is a wreath. We have a few ideas for creating a Christmas wreath that will look great on any door or window. For a base, look for something a little more rustic like a willow branch base or a woven branch base. That way, you can leave part of the wreath exposed, which creates a nice rustic appearance. Use your rhinestones strategically and add them to berry branches and snowflakes. These will become small accent points that will reflect the light and play off of the shiny Christmas ornaments. With a combination of glue and wire, attach your wreath elements. You can arrange your wreath so that your elements sit on only one side, or you can cover your wreath entirely. It can sometimes be helpful to arrange your pieces before permanently fixing them. Cut a length of ribbon to hang your wreath when you’re done. The winter holiday season doesn’t always have to mean Christmas. For seven days starting on December 26, the traditional African festival of Kwanzaa is celebrated. One way to celebrate Kwanzaa is by lighting a Kinara, a special seven-branched candlestick. Kinaras are easy to find, and adding rhinestones to the Kinara will look lovely when combined with the light from the candles. You’ll need a Kinara, as well as red, green, and black rhinestones, which represent the candle colors of Kwanzaa. Arrange your rhinestones in a way that will suit your particular Kinara. Create lines of color or create a new pattern for the candlestick. If you want to stick to traditional order, the candlestick colors are three green candles on the left, one black candle in the middle, and three red candles on the right. These represent the values of Kwanzaa. The same principles behind the rhinestone Kinara can be used to create a similar rhinestone menorah for Hanukkah. You’ll first want to paint the outside of the Mason jar. It’s important to leave some areas unpainted so that the light will shine through. The darker the paint color, the more contrast you’ll have between light and dark. Your rhinestones will be attached to the jar lid. You can cover the entire lid in rhinestones, which will help enhance your lighting and give the light something to bounce off of. Finally, Place your tea candle in the jar and close the lid. Use twine and greenery to create your handle for hanging your lantern. Alternatively, you can simply place your lanterns on a table. The nice thing about this project is you can use any size Mason jar to suit your needs. In our opinion, there’s nothing that can’t be improved with the addition of a few rhinestones. They add a splash of fun and personality to whatever you’re working on. During Hanukkah, it’s tradition to play with a dreidel, a four-sided spinning top. Dreidels can be made from wood, plastic, or clay, but why not make your dreidel have a little more pizazz? To give your dreidel a little bit of an upgrade (and without throwing of the balance of the toy), use very small rhinestones to completely cover the handle of the dreidel. If you can find a larger dreidel it will be easier to work with. This will be the perfect gift for a child who loves all things sparkly! These simple ornaments are easy to make but pack a big punch. For this project you’ll need sew-on rhinestones (they don’t have to be flat-backed), jewelry wire, small pliers and wire snips, and ornament hooks. Use your wire to carefully string together the rhinestones in a straight line. Use your pliers to lend a helping hand and snip the wire with your wire cutter. Once you have used the pliers to bend any pointy ends, add your ornament hook to one end of your chain of rhinestones. You can choose any colors you wish, but blue and silver are always classics for a snowy, wintry look. When hung next to the lights on your Christmas tree, your rhinestones will glitter and add an extra bit of flair to your home décor. Keep in touch with The Rhinestone Shop and stay up-to-date with our latest products! We’ve got a huge selection of rhinestones and accessories so you can make some sparkly crafting magic. Stay tuned for more great projects, and happy holidays! To borrow from an exceedingly popular television and book franchise, winter is coming. In fact, depending on where you live it may already be here. Winter means cold weather, warm fires, and a commitment to staying both cozy and occupied to keep the winter blues away. That’s why we’ve put together some ideas for winter-themed rhinestone crafts that will make your home a little more sparkly and bright. Best of all, these projects cover a range of crafting abilities, which means you can even get the kids involved in some of the fun. It’s hard to not be inspired by antique stores and junk shops, and one piece that it relatively easy to find is a serving tray. If you’re lucky, you may even find a mirrored serving tray. Serving trays can be used for so many things, from being the base for a centerpiece to—gasp—actually serving food or drinks. We really like mirrored serving trays because when you add rhinestones, it creates a beautiful doubly sparkly effect. For this project, you’ll need a serving tray, acrylic paint/spray paint (optional: painter’s tape), and rhinestones. First things first, you’ll want to paint your tray to your desired color. This is especially important if you find a lovingly used tray at a consignment shop or the like. If you’re using spray paint, use painter’s tape to cover the mirror for protection. Once you have a dry and freshly painted tray you can start thinking about your rhinestone placement, which really depends on the type of tray you have. 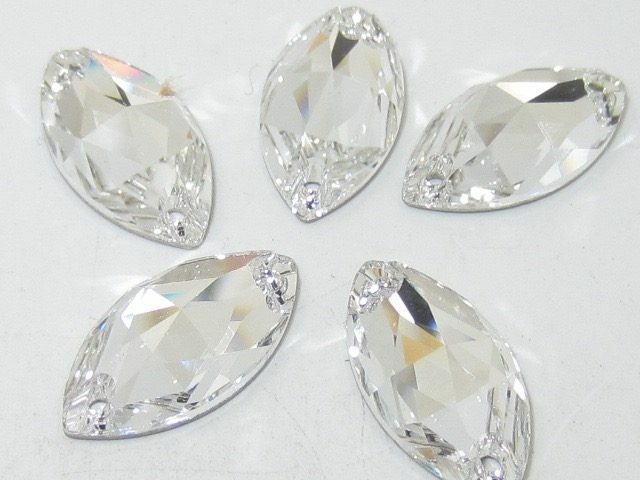 One special rhinestone style we have right now is snowflake shaped, which would look great in the corners of the mirror or along the outside of the tray. Remember when your mom used to yell at you to put a hat on before leaving the house? Now you can look forward to wearing a beautiful hat that’s full of personality with a hat brooch. You have a couple of different options for making a hat brooch. One way is to use sew-on rhinestones directly on the hat. The other way is to make a removable pin so you can use it to accessorize a coat or sweater instead. You’ll need a brooch pin back, stiff felt, and flat-backed rhinestones. Use the stiff felt as your base, using different rhinestone shapes to create an interesting pattern. Fill in gaps with smaller stones. Use small scissors (embroidery scissors are great for this) to snip away around the edges of your brooch. Then you can glue the whole piece to the pin back. Instant accessory! Before you get to play with rhinestones, you’ll want to paint the base of your snowflakes. If you can find snowflake-shaped wooden bases, that’s great, but you can also use circles or squares. Paint the base your desired color then use your drilling tool or awl to make a hole near what will be the top of the snowflake. Use a pencil to sketch out a snowflake pattern, then you can start to place your rhinestones. The beauty of snowflakes is their pattern, so create symmetrical patterns to get a snowflake effect. Hang your snowflakes in windows or on your tree when you’re done. There’s nothing quite like curling up by the fire with a warm mug of something. Be it tea, coffee, or hot chocolate, having a warm beverage in hand is simply a delight (and it’s a practical way of keeping warm!). Create customized mugs for everyone in the family with the help of some rhinestones! For this project, you’ll need as many mugs as you have people, and you’ll want small, flat-backed rhinestones. The colors are entirely up to you, which means you can use everyone’s favorite colors or use cool silver and blues for wintertime or Hanukkah. If you’re feeling Christmas-y, pull out your red and green rhinestones. For application, you can make patterns on the sides of the mugs, or you can use small rhinestones to cover the handle entirely. If you do decide to bling out your mug handle, be sure to cover the whole handle. Uneven rhinestone application might lead to an uncomfortable handle. For a winter mug, we recommend a snowflake pattern, stars, or holly leaves and berries, but since you’re making custom mugs, your possibilities are truly limitless. Is someone in the family a superhero fan? Dogs? Get inspired by your family and make something memorable! If you’ve been going through your rhinestone stash recently and found that you’re full to the brim with sew-on rhinestones, we’ve got a perfect project for you—bling gloves! Let’s face it—winter accessories can be quite dull, so why not add some much-needed sparkle to your winter gear? Everyone needs gloves, so once you’re done fashioning a pair for yourself, go ahead and make some for the other people in your life—they make excellent, unique gifts. The best approach we’ve found for this project is to apply rhinestones to the wrist of the glove or to the back of the hand. However, if you’re feeling particularly sparkly, you could create a ring pattern on the glove fingers or rhinestone “fingernails”. Once you’re done with your gloves, it’s hard to stop putting that sparkling touch on everything! Go for scarves and hats as well! 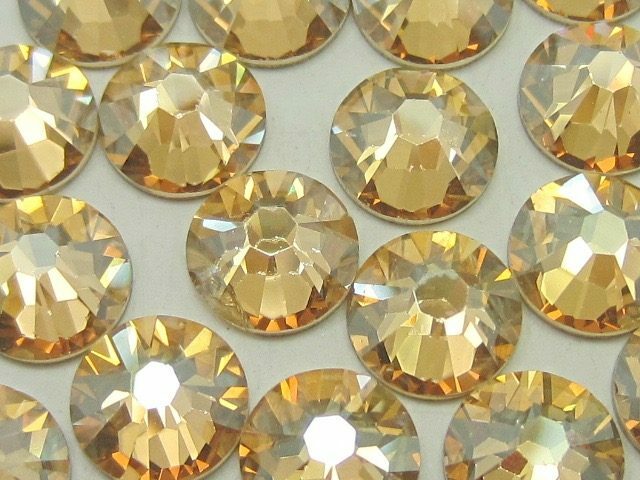 Be sure to check out The Rhinestone Shop’s extensive inventory so you can find the perfect rhinestones for your winter projects. Enjoy the brisk weather, and be sure to have plenty of projects on hand to keep cabin fever at bay. Happy winter! There’s more to Thanksgiving projects than turkey hands. 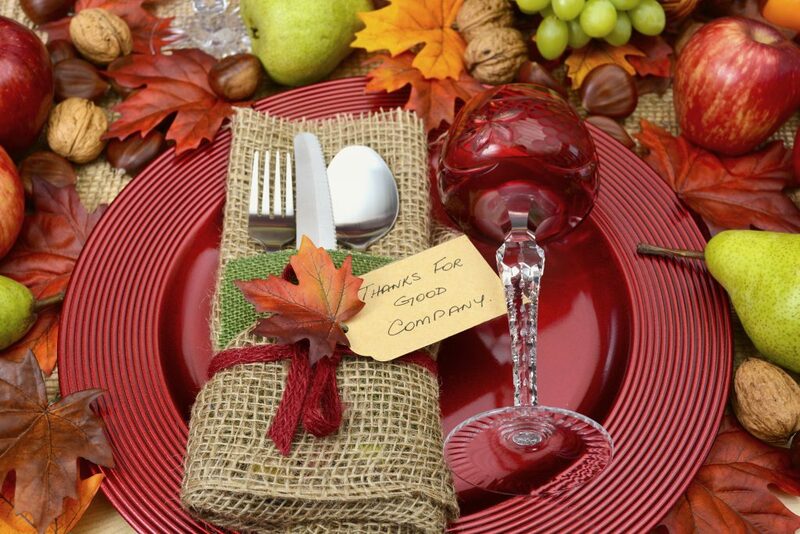 For Thanksgiving this year, why not try enhancing your dinner table and home with some festive Thanksgiving-themed décor? This is the perfect time of year to pull out all of those fall colors in your favorite shapes so you can put together a dining table that’s sure to impress your family and friends. You can find table runners where you would find other home linens, and many table runners are tapered at both ends, making it the perfect background for something that pops at the dinner table. Before you do any sewing, plot out your rhinestones and use tailor’s chalk to give yourself a rough sketch of how you want your rhinestones arranged. Use a combination of different shapes and sizes, and try to create something that’s symmetrical. Alternatively, you can create leaf shapes from rhinestones using templates, which will create a lovely autumn effect that is great all season. If you want something more specific to the holiday, find a turkey template online and use that as the focal point for your table runner. While the turkey is the real star, no table is complete without a centerpiece. For this particular centerpiece, the theme is fall. You can make this into a tall, narrow centerpiece, or you can create something that occupies a little more table space but has less height. Each leaf will have some rhinestone adornment. You’ll want to use smaller rhinestones on the leaves, as larger ones can weigh them down. For each leaf, choose a rhinestone color that either matches or complement the leaf. Use 3-5 rhinestones per leaf to create a subtle, but sparkling, effect. Continue this process until you have all of your leaves done. When that’s finished, cut the florists’ foam to fit the vase, then arrange your branches. Use a combination of taller and shorter branches for variety. Emily Post tells us there are many ways to set a table, and the most formal table settings have one plate that sets them apart: a charger. A charger is a large plate that all other plates sit on. Chargers will transform an ordinary dinner into something extra special. Choose the color of your charger. If you’re opting to spray paint, choose a color that complements your centerpiece or your table runner. You don’t have to worry about the spray paint in terms of your health—it will never come into contact with food. The next thing you’ll want to do is figure out what type of pattern you want for your charger. 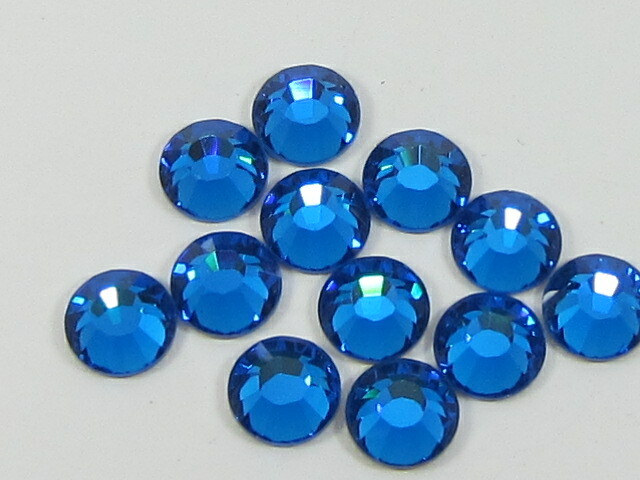 We recommend using small rhinestones in a color that complements the color of the charger. You want to avoid putting rhinestones on the charger too close to the center of the plate, or else the plates on top will wobble. 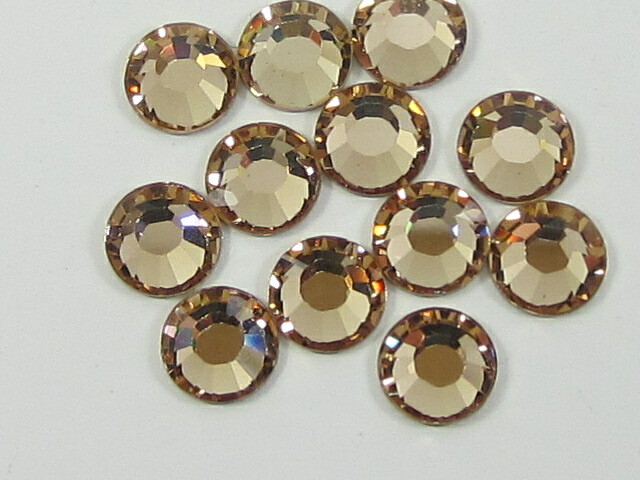 Classic patterns include concentric circles of round rhinestones and placing rectangular rhinestones around the edge. You can really get creative, using different color combinations to create a stunning addition to the table. Now that your table is becoming particularly festive, it’s time to start thinking of the finishing touches. Napkin rings are an easy project that will add the perfect touch of sparkle to your place settings. While you could, in theory, string some sew-on rhinestones together for a napkin ring, the easier method is to find plain napkin rings and make them your own. Napkin rings are easy to get your hands on, and with a little bit of color and sparkle, your table settings will make a big statement. If you can’t find napkin rings in your preferred color, paint your napkin rings to your preferred base color. Working along the edges of the napkin ring, arrange small, round rhinestones. These stones should either match or contrast your napkin ring base. 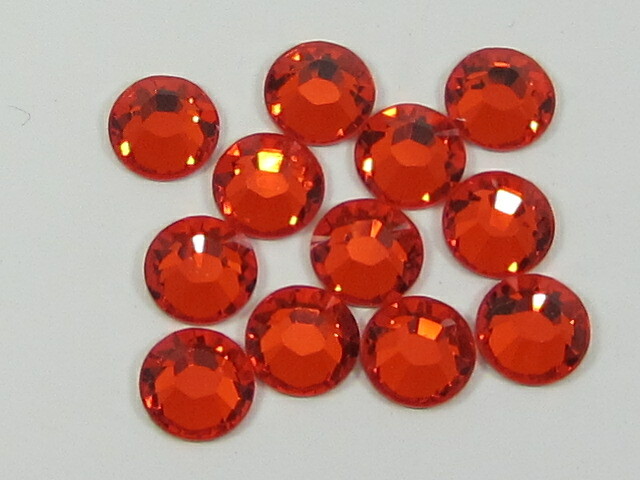 The smaller the rhinestone, the easier it will be to work with on a curved surface. Dining with a little bit of candlelight is one of the nicest feelings. Everything around you has a warm, soft glow, and the flickering lights take you back to another time. Here’s a quick and easy way to make votive candle holders for your table. First, you’ll need to find votive candles and clear glass votive holders. These are inexpensive and easy to find in both retail stores and online marketplaces. It’s important for this project that your votive glass be clear. Next, you’ll use tissue paper and a decoupage medium like Mod-Podge. Use tissue paper in autumnal colors, and choose a single tissue paper color for each glass. Yellow is a particularly good option. Cut your tissue paper into squares, approximately 1” x 1”. Using your decoupage medium, glue the tissue paper to the inside of the votive glass, overlapping the paper slightly. Continue to do this until the entire inside of the votive glass is covered. Once the decoupage medium is dry, you can then work on the outside of the votive glass. This is where the rhinestones come in. Using a pattern that suits you, fix rhinestones to the outside. Fixing rhinestones to the top edge will look particularly nice next to a flickering flame. We hope you have a tasty Thanksgiving surrounded by family and friends! Stay tuned for more great rhinestone ideas next month! Believe it or not, it’s actually time to start saying goodbye to warm weather and hello to the changing colors and cooler temperatures. And boy, are we looking forward to it! 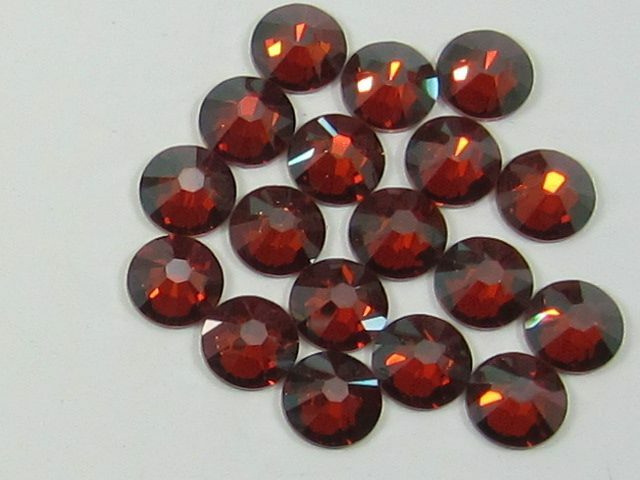 At the Rhinestone Shop, we’re getting geared up for fall, which is a great time to invest in new autumn colors and start getting ready for the holidays in the following months. 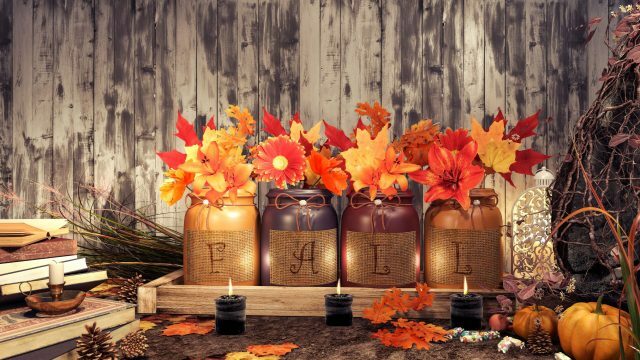 We’ve put together some fun ideas for the DIY crafting crowd for fall. Think about warm colors that remind you of the changing leaves, like oranges, yellows, reds, and browns. If you’re not sure which colors to choose from, be sure to get our color chart! Having a bright, colorful candy jar around the house or office is a fun treat for everyone. It’s incredibly easy to customize your own candy jars out of Mason jars, paint, ribbon, and, of course, rhinestones. The first thing you’ll want to do is plan out your color scheme. For fall, think about the colors of the season. Paint the outside of the jar with acrylic paint. You can get creative with your paint; go for patterns if you’re feeling artistic, or just paint the jar a solid color. Once the paint has dried, you can then plan out your rhinestone placement. Using complementary colors, glue rhinestones to the jar, avoiding the screw top. With any project involving rounded surfaces, it’s much easier to use smaller sized rhinestones, as they will sit on the jar more easily. Finally, when your paint and rhinestones are all set, you can tie a burlap ribbon around the top of the jar. Fill your jar with seasonal candy like candy corn, and display the jar on the table or give it as a gift. This unique project is perfect for crafty people, and the addition of rhinestones makes it extra special. The goal of this project is to use small clay pots to create a cute little creature that can ring in the fall season. The main idea is to use clay pots to create a head, body, hands, and feet. To start, glue one clay pot to another, with the bottoms together. This will create the head and body (the head is an open pot facing right side up). You’ll then cut two pieces of twine, each about 4 inches long. Tie a knot at the end of each piece of twine and string each through a clay pot. Glue the other end of the twine to the head and body. Now you have hands. If you wish, do the same and create feet for your clay pot person. Now you can paint the pots if you desire. Use burlap to create texture, and use rhinestones to create accents on the body or create facial features. Stuff the head with raffia, as well as the hands. Use glue if you need to hold it in place. 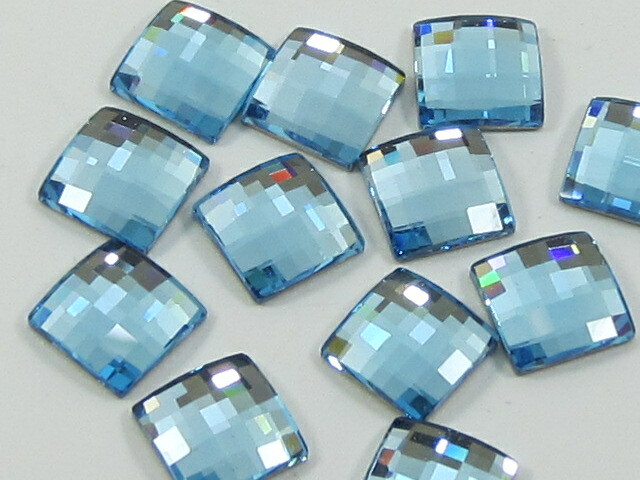 This is a great opportunity to use some of your favorite flat-backed rhinestones of different shapes. Get creative and see what you come up with! To start, each leaf should have a few rhinestones on it. You don’t want so many as to weigh down the leaves, but enough to definitely add some sparkle when the wreath is on display. Take your time and use rhinestone colors similar to the leaf color. Then you get to assemble the wreath. Using glue, start placing your leaves around the wreath, attaching the stems to the base. You don’t have to place leaves in any particular order, but mixing up your colors will create a dazzling effect. Make sure you don’t have any wreath base exposed, and when you’re finished adding the leaves, add a decorative ribbon to what will be the top of the wreath. If you’re really feeling sparkly (which, come on, we know you are) add some autumnal rhinestones to the ribbon. Place your linen in the embroidery hoop and tighten appropriately. Sketch out your tree trunk design, and make sure you include branches where you will add your button “leaves”. Carefully embroider your tree with brown embroidery floss. Once you’ve completed that, you get to sew on your button leaves. If you happen to have an interesting stash of buttons, now is a great time to use them. 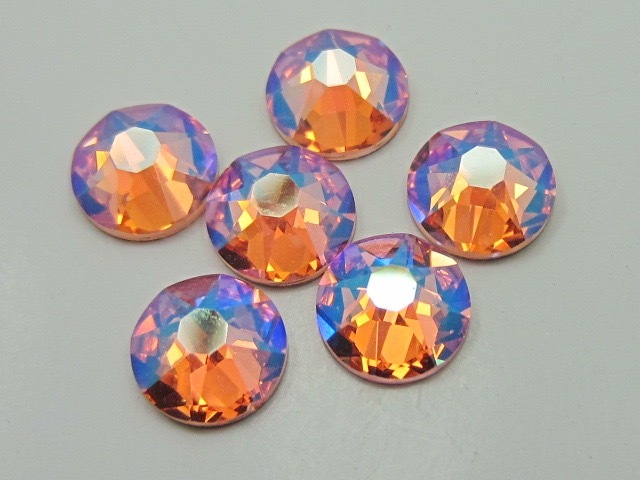 Adorn your buttons with rhinestones of the same color. When your project is complete, carefully snip away some of the excess fabric and hang your piece. If you’re a fan of seasonal décor, this will be a wonderful, easy project. Craft stores have all sorts of great seasonal items, and in the fall season, you can usually get your hands on artificial acorns. Using these acorns, add rhinestones to the acorn tops to create sparkling pieces that will look great as a centerpiece on your table. If you have an oak tree in your backyard, collect some real acorns and mix the two together in a glass bowl or jar. If you want, you can also add a ribbon to your acorn jar. In short, there are many great ideas for rhinestone crafts this fall. Whether you’re simply doing it yourself or working with your family, these fall rhinestone projects will make your season come to life. It’s hard to believe it’s already time to think about getting the kids back to school, but here we are. It can be hard to switch gears from fun in the sun to back-to-school items, but one way to get you and your child back into the swing of things is to personalize some favorite school items with rhinestones. Take the lead, but don’t be afraid to let your child get hands-on. After all, if she’s taking an interest in her school supplies, she’ll probably be more excited about school itself. And these projects aren’t just for kids—any rhinestone addict who’s in school or needs to stay organized will have fun with these projects. 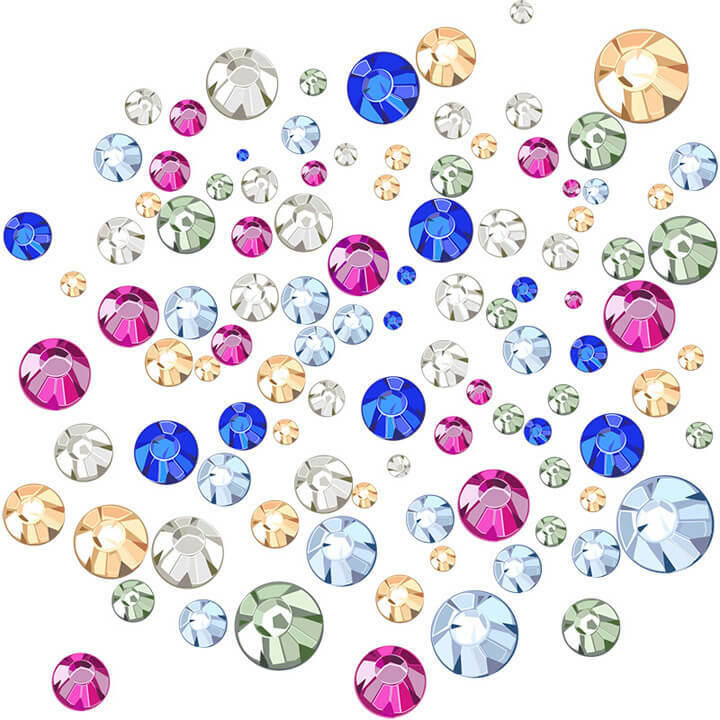 Here are a few ideas for rhinestone creations for the new school year. It’s important to stay hydrated, which is something a lot of kids (and adults) have a hard time doing. Carrying a water bottle with you is a great reminder to drink more water, but let’s be honest, water bottles look a little boring. Grab some of your favorite rhinestone shapes and colors and go to town! The lid can be a great place to embellish, and you can even add some sparkle to the main section of the bottle. Remember that when you work on rounded surfaces, the smaller rhinestones adhere a little more securely. This simple little project is fun for everyone, and ultimately, it helps you remember where you left of on your book. You’ll first need to get your hands on some paper clips (preferably the larger ones) and some larger rhinestones. The short and sweet version of this project is to take a singular rhinestone and glue it to the end of the paper clip that doesn’t have the “clip”. For more intricate designs, glue a rhinestone pattern to a small piece of stiff felt and glue the whole piece to the paper clip. Instant bookmark! This is another simple project that is easy for everyone to help with. You’ll need assorted bobby pins and rhinestones, and with a little bit of glue, you’ll soon have fun new hair accessories to go with your new school clothes. Carefully glue a rhinestone or two on the closed end of the bobby pin and suddenly you have a new accessory! This is a great embellishment project for anyone in the family, and this is a particularly great way to upcycle a lunch bag from last year. Once you have your lunch box or bag picked out, choose rhinestones in coordinating colors and make your plan. Lightly trace out a shape or an initial, or simply embellish parts of the bag like the handle or the edges. If you or your child are obsessed with accessories, headbands are a great, easy way to add something new and sparkly to your wardrobe. Embellishing a headband is easy, but it helps to have rhinestones that are the same approximate width of the headband. Find a plain headband from your stash or invest in a couple of inexpensive headbands and choose your favorite rhinestones. Plan out a pattern or use novelty shapes like hearts or skulls to create something fun and festive! If you like holiday themes—headbands are a great way to celebrate! Every organized student will benefit from a pencil case to keep erasers, pens, pencils, and other assorted school accessories. And like a lot of school tools, they can look a little dull. Use a pencil case or a pencil box as a blank canvas for all of your favorite rhinestones. Choose contrasting or coordinating colors and create unique patterns or shapes. Everyone needs a backpack, and who wants one that looks just like everyone else’s? It’s time to personalize your backpack! 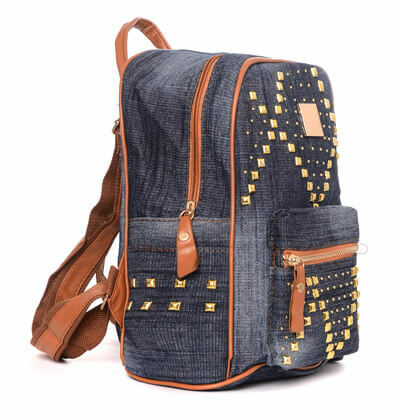 Traditional backpacks often have a nice flat space near the top of the bag that’s the perfect spot for an initial or a special symbol like a star or a heart. If you’re particularly deft with rhinestones, you could even recreate a favorite animal. Other parts of the backpack to bling are the zipper pulls and straps. Is your child old enough to carry a house key now? A key is an important step in teaching responsibility, and a keychain is a helpful tool for identifying and finding a key from the depths of a backpack. Work on a rhinestone keychain with just a few simple supplies: small pieces of leather, rhinestones, glue, and a keyring (available at craft stores and online). Use the leather as the base for your rhinestone design, and trim the leather to fit once the glue has set. Attach the rhinestone piece to the key ring with a small strip of leather and either glue or stitch it in place. Everyone needs a notebook or two, so why not make them a little more fun? Notebooks are incredibly easy to embellish, and it’s something that everyone in the family can get behind. If you have different notebooks for different subjects, use different colored rhinestones for each subject, or make a different theme for each notebook. Everyone will have fun customizing their school supplies for this project! At school, you have lockers, backpacks, and desks to help you stay organized, but you need something at home, too. A great way to help keep everything tidy at home is to use different desk organizers like file trays and pencil holders. And if there’s one true thing about office supplies, it’s that they are definitely lacking in sparkle. Add some rhinestones to your desk at home and make doing homework a little more festive. If you like the DIY approach, transform old cans into pencil cups. Paint the can or cover it with decorative paper, then add your rhinestones to make it brilliant. We hope the start of your school year is off to a great start and that your child will happily stand out from the crowd with some delightfully bling items. Grab some rhinestones in your favorite colors and get to work! We are officially in the dog days of summer, and with that comes one of our favorite holidays—the 4th of July! It’s the time to celebrate America’s history and our country’s independence. This holiday is also the time where we typically enjoy cookouts with family and friends and, of course, fireworks! 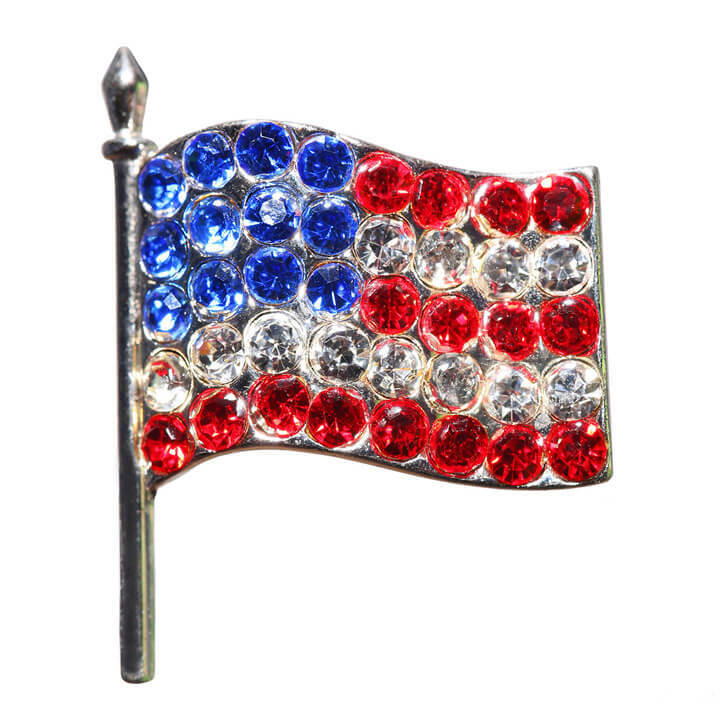 There are tons of 4th of July crafts out there, and many of them are rhinestone-friendly! Rhinestones are a great way to turn an ordinary craft project into something really special, and what better special occasion than America’s independence? 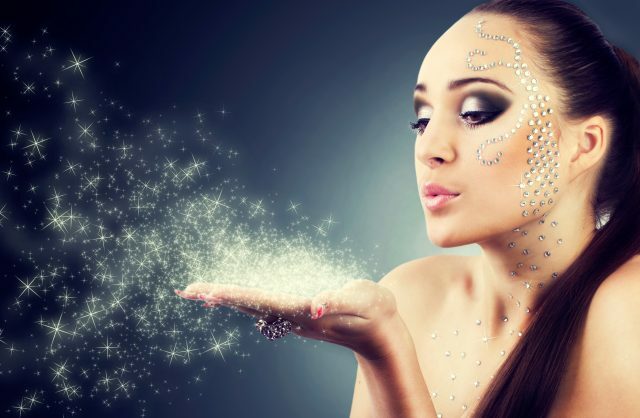 Here are a few rhinestone projects that will make your holiday sparkle!